One of the best parts about the Amigos de Jesús Bilingual School is the focus that it puts on finding an education that fits our children rather than fitting our children to a particular educational style. One of the ways that we are able to do that is by providing three different programs for our children: the BECA bilingual program, the EducaTodos program, and the Special Education program. 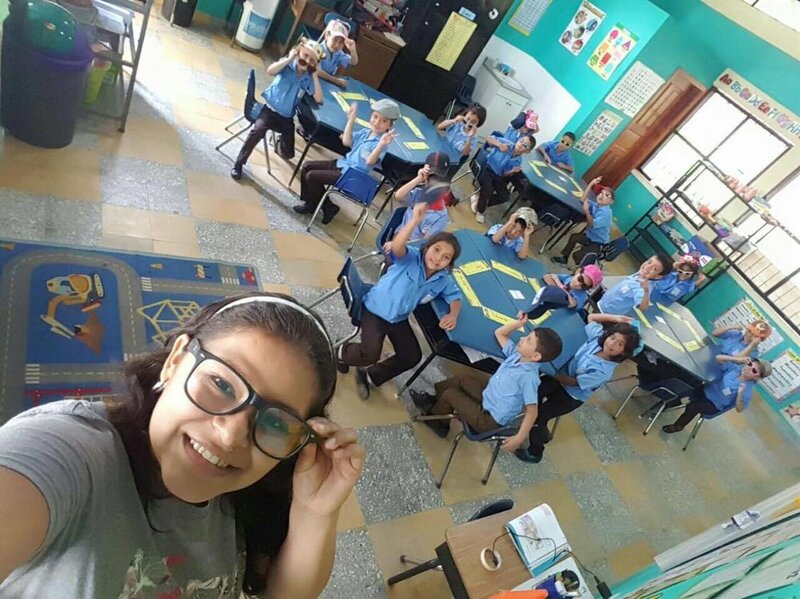 These programs are staffed by three special groups of volunteers: the English-speaking BECA and Amigos de Jesús volunteers and the Spanish-speaking Honduran teacher volunteers. Perhaps the most infrequently mentioned among the three groups, the Honduran volunteer teaching program is an incredibly unique program and also a critically important one in our children’s education. It allows 18-year-olds who have recently graduated from their ‘carreras’ (profession-focused last two years of high school) with their primary teaching certificates to gain hands-on experience that can either help them get jobs as primary teachers or help them as they work to earn a university degree in teaching. In addition to the advantages in offers the teachers, our students greatly benefit from having teachers from their own cultural background teaching, supporting, and connecting with them, enhancing their knowledge and command of their native language and culture. Read below to learn more about the three new Honduran volunteer teachers who have joined us this year, giving their time, energy, and love to provide our children with the best education in the area. Profe Karen with her first graders getting ready to go on an exploring mission! I first heard about Amigos de Jesús because my daughter has attended the school now for two years. Before coming to Amigos, I was working for a sort time in a public preschool. I decided to apply to be a volunteer teacher first because my daughter is here and it's nice to be able to be a little closer to her for a while. I also thought if I have the time and can do something positive with it, like teach at the Amigos school, I should! I have already earned my teaching certificate and hope to continue studying on the weekends to get my 'licenciatura' (the equivalent of a bachelor's degree in the United States) in Agricultural Administration at the university. My favorite part about my job is being with the kids. Profe Edna with several of the children in her 'Prepa' (Kindergarten) class. I first heard about Amigos de Jesús from a friend of mine at the university, Profe Gabriela, who is now also teaching at Amigos (read below). She told me that they were looking for teachers so I decided to apply and here I am. Working at the Amigos de Jesús Bilingual School will give me great experience working with children, it will help me with my own education, and it will allow me to put in practice what I have already learned about teaching. Before coming to Amigos, I was studying at the university to get my 'licenciatura' in Administration and Management of Education, which I am still studying now. My favorite part of my job is almost everything. I love being with the children, spending time with them, and helping them with their work in class. I spent almost the entire day with them, going from here to there, and I have a lot of fun with and get energy from them. Profe Gabriela with one of the students in the BECA Bilingual Program. I first heard about Amigos de Jesús from a friend of mine. I decided to apply because I love being a a teacher and I like to help and support in whatever ways I can. Before coming to Amigos, I was studying at the university to get my 'licenciatura' in Administration and Management of Education. I am continuing to study now on the weekends. My favorite part of my job is teaching and experiencing and seeing the love of the children I work with.